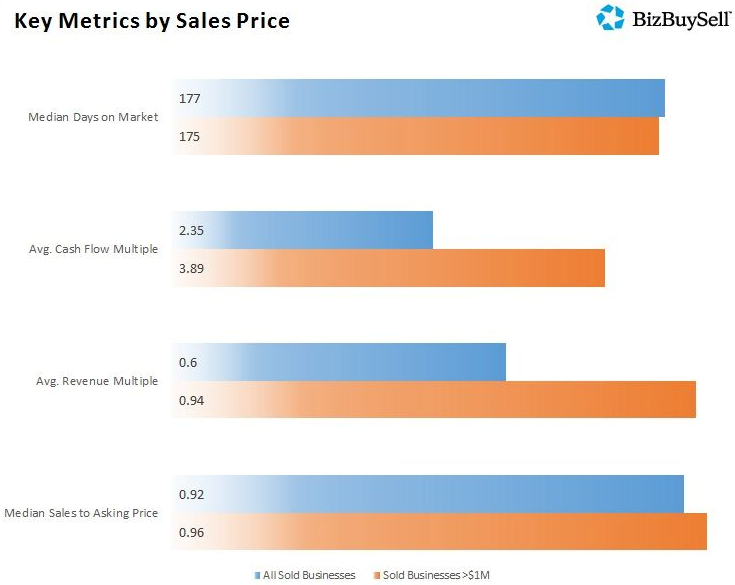 Sales of small businesses in America remain elevated, according to an updated report from BizBuySell. 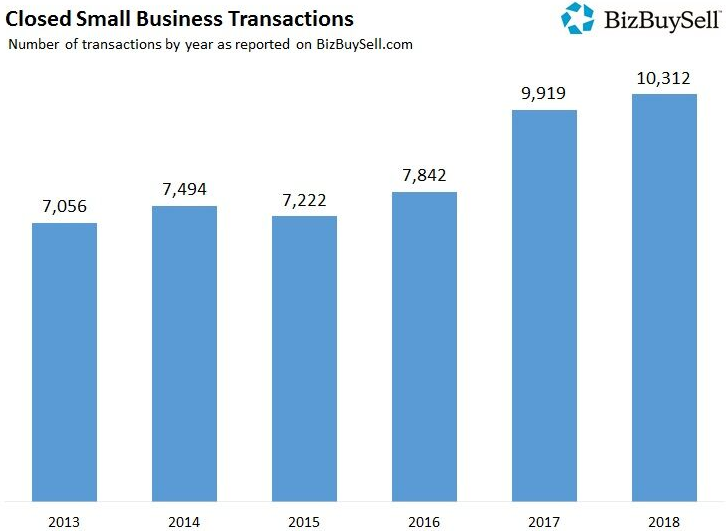 Specifically, there were 10,312 closed small business transactions in 2018, a 4 percent increase from 2017 and the highest full-year total since BizBuySell started tracking this data in 2007. The report’s authors attributed 2018’s continued acceleration in transactions to a variety of factors, such as strengthening revenue and profit numbers, as well as more people looking to buy and sell. The uptick in sellers is in part being driven by the aging U.S. population, i.e. Baby Boomers, and 80 percent of surveyed business brokers said that they expect even more Baby Boomers will look to sell their companies in 2019 than in 2018. The main reason for this is that a rapidly growing number of these older Americans who own a business have reached the age at which they will want to stop managing the day-to-day operations of their company. Further, around a third of business brokers and small business owners in a separate BizBuySell survey said that they feel higher minimum wages, rising healthcare costs, and concerns over upcoming regulations are likely motivating many owners to sell sooner rather than later. 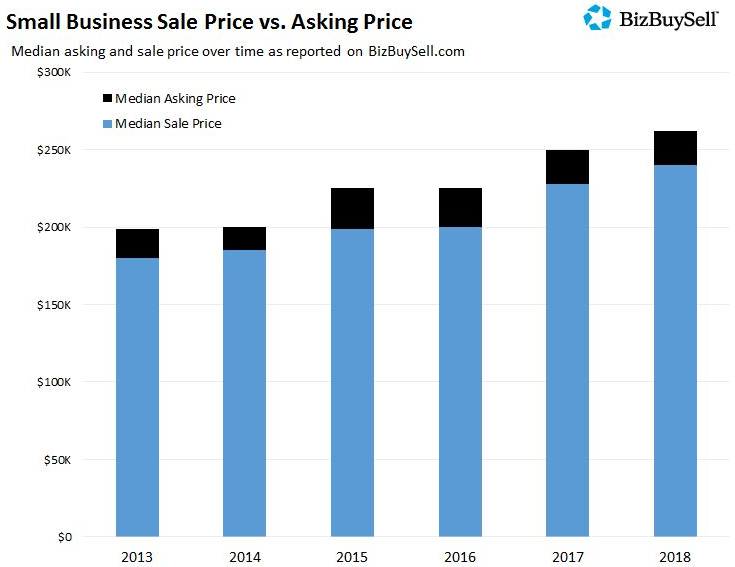 Such owners have probably also been motivated by a favorable market that has seen the time it takes for a business to sell fall considerably, along with a 9 percent jump in the median selling price in just the past twelve months. Adding to older owners’ increased willingness to sell is likely a desire to avoid the challenges of managing a company during another recession. 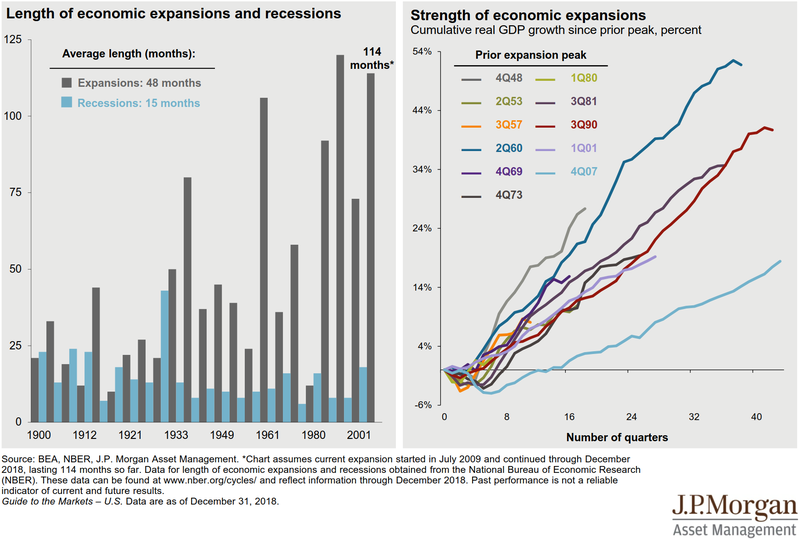 Indeed, while there are not any major warning signs of an imminent recession, some sort of economic downturn occurring within the next few years would not be surprising since the current expansion in America has already been going on for more than 114 months, making it the 2nd-longest on record and more than twice the historic average (48-months). For some owners, passing on the management responsibilities, along with ownership, to one’s children is another option, but many may instead wind up simply selling their company to an outsider. Why so? There are several potential answers to that question but one reason could be to help fund retirement because roughly one in five Baby Boomer small business owners in a recent SunTrust poll admitted that they are still not financially prepared for retirement. In fact, an earlier FPA/CNBC study on succession planning found that more than three-quarters of surveyed small business owners plan on selling their company in order to satisfy 60 percent to 100 percent of their old-age income needs. Such a large dependence on a single asset could put the financial security of these soon-to-be retirees in a precarious situation should their company not sell for the price they had anticipated (and developed an old-age budget around). Just as stock market investors should diversify the equities they hold in their portfolio, small business owners should aim to diversify their retirement savings vehicles (401(k)s, IRAs, real estate, etc. ), and in turn lessen their overall sensitivity to the eventual selling price of their company. Copyright @ 2019 Slavic Investments (http://blog.slavic401k.com/retiring-boomers-continue-to-lift-small-business-sales-1). Republished with permission.